A hockey book for Christmas has been a good idea since 1909. The Ottawa Journal had only good things to say about Percy Lesueur’s effort in this article from December 16 of that year. 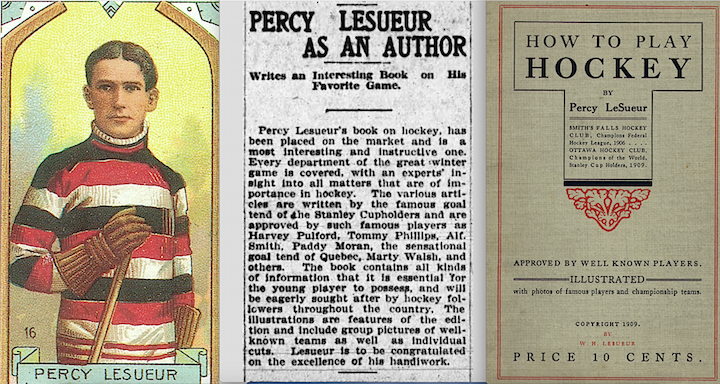 Lesueur was a future member of the Hockey Hall of Fame and as the paper notes, the “famous goaltend” of the Stanley Cup champion Ottawa Senators. If you’re still searching for a gift for the hockey fan or history buff on your list, might I suggest my latest efforts — Art Ross: The Hockey Legend Who Built the Bruins and, for younger readers, The Ultimate Book of Hockey Trivia for Kids. Or check out these suggestions from Lance Hornby of the Toronto Sun in his annual Christmas hockey book list.